The Doom Series originated in the 90s after the release of the original Doom. It was an instant hit and from that time onwards the game series has received numerous awards and the original Doom has been a staple game in every gamer’s collection who grew up in the ‘90s era. The subsequent releases of the series were no strangers to tremendous acclaim and the games just got better as technology improved with every release. When Doom 3 came out, it was an instant success just like its predecessors but this game had certainly tested the technologies of the time as it was revered as one of the best games of its time in terms of technology, gameplay, and the story. The series then remained pretty dormant for about the next 10 years with only an expansion pack released for Doom 3 and its HD re-master in 2012. In 2016, the series attacked the gaming industry with a shooter game that did not forget its roots from the era of ‘shoot first, ask later’ kind of games. The 2016 edition of Doom was a welcome addition to the series and the modern game market because it brought back something that had been missing from games for a long time and that was some good old fashioned shooting enemies with lots of gore and no element of realism that would otherwise make games boring. Now that we have discussed Doom and its history, let us move on to actually getting the game to run on your Linux system. The first thing that you need to do is head on over to Steam. If you do not have a Steam account, you will need to create one as this is where we will purchase the game from. Once you have logged in to your account, go to the search bar and type ‘Doom’. The top returned results will contain the game you need. Click on its link and you will be taken to the game page. Over there, you will have the option to buy the game. You will need either wallet funds or a valid credit card to make the purchase. Once the game has been purchased, you can finally start to download the game. Once you have gone through the whole process of selecting a partition and folder to download the game in, relax and wait until the download is over. 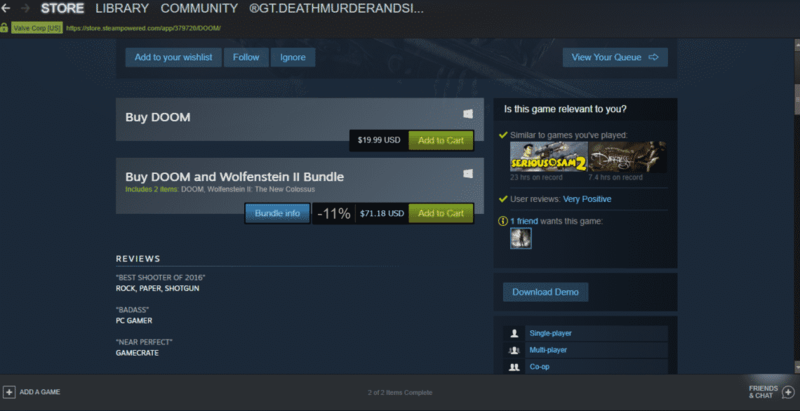 The game will also install automatically with the help of the Steam client. Till now, nothing different from the normal method of getting games to run on Windows has happened but from here onwards, things get different as Linux needs a bit more tweaks to be able to run this particular game. The Linux version of the Steam client is modified to contain a tool called Proton which is a modified version of a tool called Wine. These programs go hand in hand in creating an environment that allows a majority of games to be played on Linux systems which were otherwise very difficult to get to work. 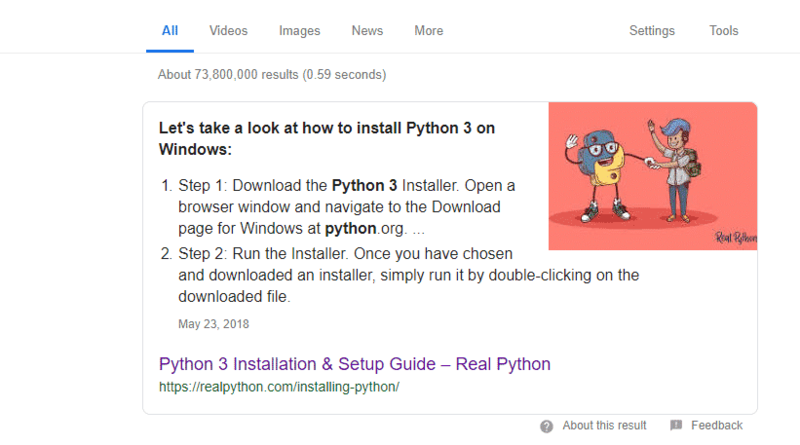 To set up Proton, the first thing you need to do is to install Python 3 in your system and to do that, you just need to make a quick search on Google; ‘Python 3 install guide’. The first link that pops up will help you get through the whole installation process. These are the basic settings that Proton needs to have gone through. The others that are system specific are explained in detail on https://github.com/ValveSoftware/Proton/wiki/Requirements. You will have to visit the link and check out the details and see what your system needs. Finally, you will have to go in the Steam Play settings of the client and choose the compatibility tool as Proton 3.7 from the compatibility tool drop-down menu. Once all these steps have been performed, you should be able to run Doom without any problems. Doom is a very fast paced shooter and therefore requires good reflexes and awareness to be able to play well and actually enjoy the game. The game is meant to give you and your skills a challenge so to get the most enjoyment from the game, you should play it on a high difficulty setting so that it does not seem like a walk in the park. 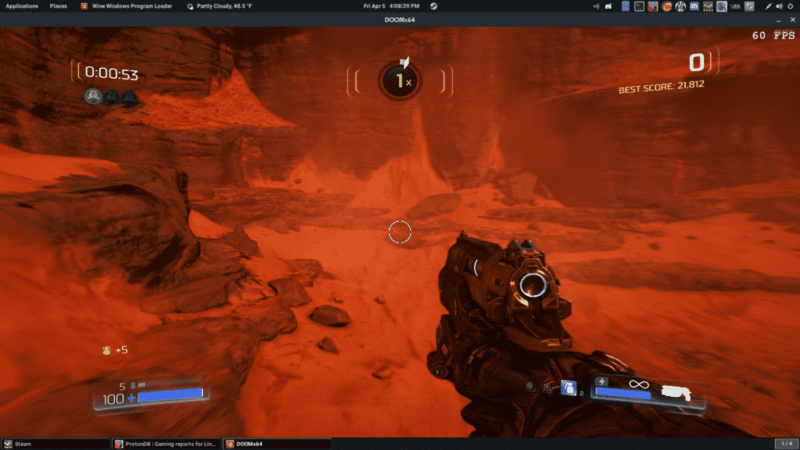 In terms of hardware, Doom is not a very demanding game and can run on medium to high settings for most setups that possess a decent graphics card, something like a GTX 1060. If you are like me, frame rates are what you need and graphics can be compromised. If you feel that you are not getting the best performance on your current settings and your frame rates are falling below 60 frames per second, do not be afraid to lower the settings a bit as Doom still looks beautiful on low settings. A fast-paced game like Doom is really difficult to play on low frames and should be avoided so that the game can truly be enjoyed. If you cannot even aim enemies because of the low frames, you will quickly begin to hate the game and that is the last thing you would want. 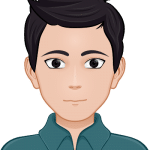 Zeeman is a freelance content marketer, software engineer and tech blogger who loves to blog on his tech blog in his free time.